The Big Idea: The love and attention of caring adults can be the key factor in helping children thrive. 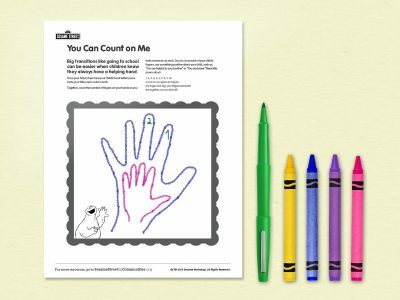 Print out the page and share positive things about children as you trace their hands in yours and count each finger aloud. Count things you love about your child, and encourage siblings to count and share things they love about one another. For instance, a sibling might say, “One, I love your artwork. Two, I love that you share your toys,” and so on.